This recording does not play (the others I’ve tried do play). Have been to Post Office Bay and looking forwarding to “going back.” Thank you! I just looked into it & for some reason Grant Finlay’s recordings are not loading properly – I’ll look at it again later on today & let you know once they are up & running again. Thanks for reporting the error. After some investigation, we identified the problem why some of Grant’s tracks weren’t playing properly. 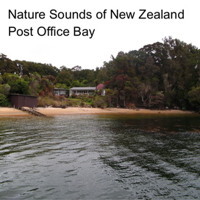 The issue has now been corrected so you can enjoy all of the listed sounds from New Zealand.